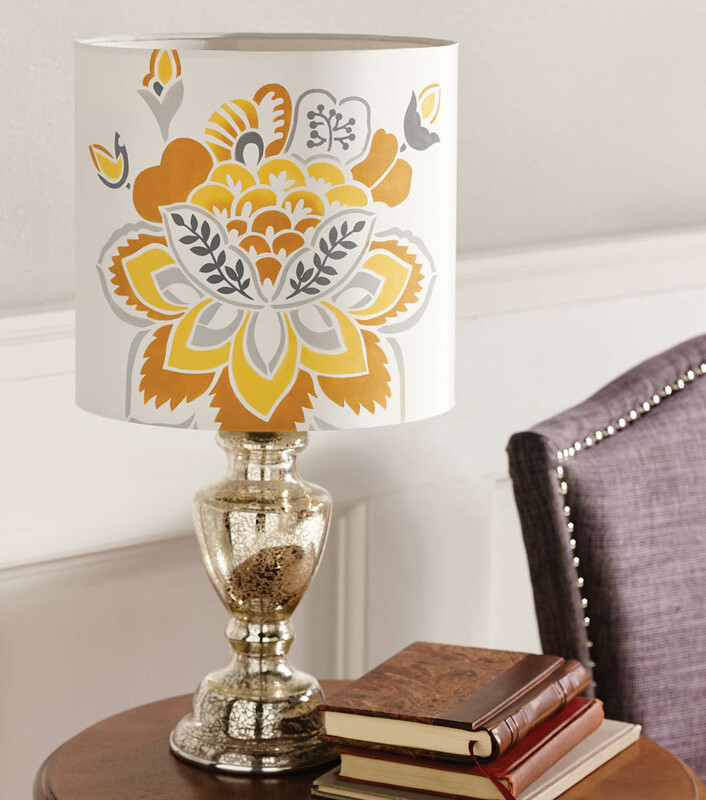 Jo-Ann is a leading crafts and fabrics retailer headquartered in Hudson, Ohio, USA. The business was founded in Cleveland in 1943 by two couples, Hilda & Berthold Reich and Sigmund & Mathilda Rohrbach, beginning as a cheese shop before fabrics were added as a secondary product. The popularity of the fabrics was so strong that they soon ditched the cheese and opened up a second store. Business steadily grew and by the end of the 60s they had re-branded as Jo-Ann Fabrics. Although the company is now privately held, it did have several years on the American Stock Exchange. However it was acquired by private equity firm Leonard Green for $1.6 billion in 2011. Today Jo-Ann has over 750 stores in the United States, which are supplemented by it's online store at JoAnn.com. 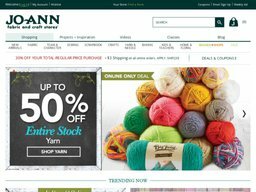 Here you can make savings or redeem other offers by using one of our JoAnn.com coupons, which we keep up to date whenever new codes are made available. JoAnn.com is categorized in to the following sections: Fabric, Sewing, Scrapbook, Crafts, Yarn & Needle, Baking, Teacher & Kids, and Home & Floral. Each of these categories has a very broad selection of items from drape linings to quilting, sewing machines to thread, cards to sticker machines, embroidery tools to knitting looms, and bake ware to photo frames. If you looking to get creative there will be something for you. There are also Holiday themed items depending on the time of year, and a special section for licensed fabrics. For example you can buy a roll of officially licensed Boston Celtics NBA fabric. JoAnn.com coupons can be applied to products in any of these categories by using the code during the checkout process. One interesting feature is the ability to purchase online classes, which are delivered in the form of private videos and reading materials. They include subjects like cake decorating or sewing, and there are even classes for kids. Some classes also come with the materials so you can follow along directly. The Jo-Ann website has several other features beyond commerce, including a Teacher rewards program, and other programs for Students, Non-profits, and the Military. They also share videos and articles to inspire and educate you in your own craft making projects. You can use all major credit and debit cards for your JoAnn.com purchases, as well as Paypal. Processing takes between 1 to 3 days and standard deliveries should arrive between 4 and 7 days after processing. You can pay extra for express shipping though several items are excluded from this option. Orders under $30 cost $6.95 to ship and it gets progressively more expensive the larger the order. At $500, shipping costs $42.95. Sometimes they will run a free shipping offer via coupon, which you will find listed alongside the other JoAnn.com coupons here at Coupofy. Returns are accepted no questions asked within 90 days of delivery using the returns form and prepaid label that is included with every order. You must contact customer support if your item is delivered defective or never arrives at all. Unless defective clearance items and fabric or trim that has been cur or dyed cannot be returned.